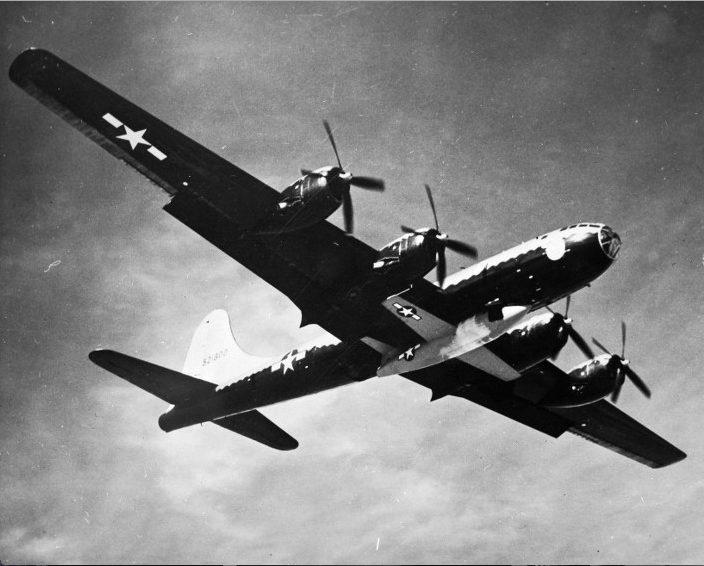 14 October 1947: At approximately 10:00 a.m., a four-engine Boeing B-29 Superfortress heavy bomber, piloted by Major Robert L. Cardenas, took off from Muroc Air Force Base (now know as Edwards Air Force Base) in the high desert north of Los Angeles, California. 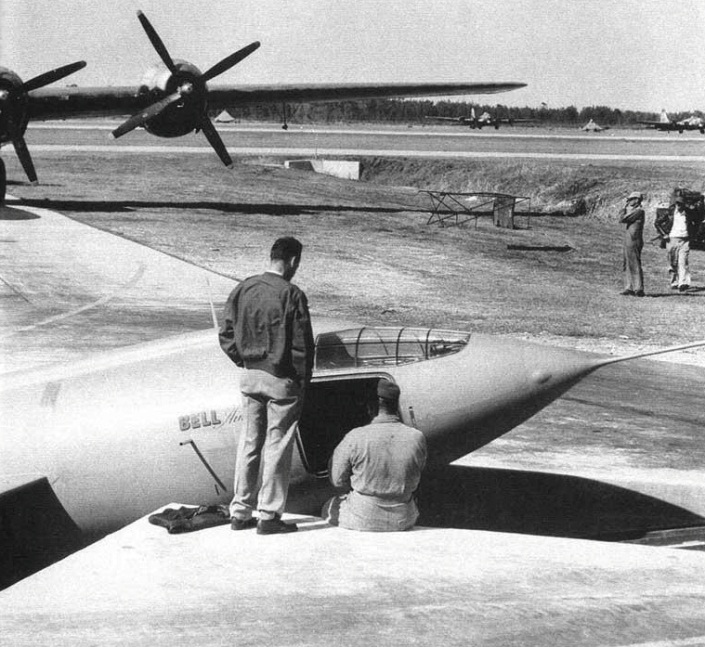 The B-29’s bomb bay had been modified to carry the Bell XS-1, a rocket-powered airplane designed to investigate flight at speeds near the Speed of Sound (Mach 1). 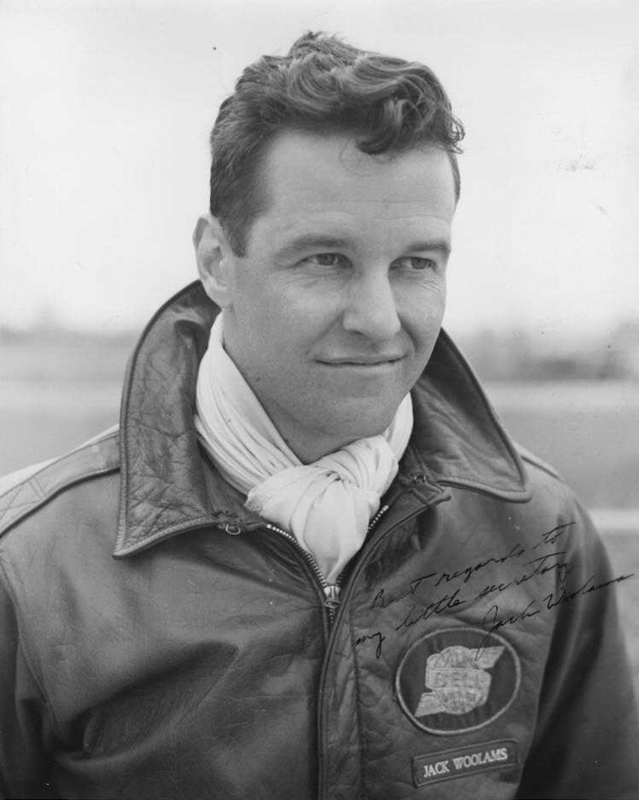 Air Force test pilot Captain Charles Elwood (“Chuck”) Yeager, a World War II fighter ace, was the U.S. Air Force pilot for this project. 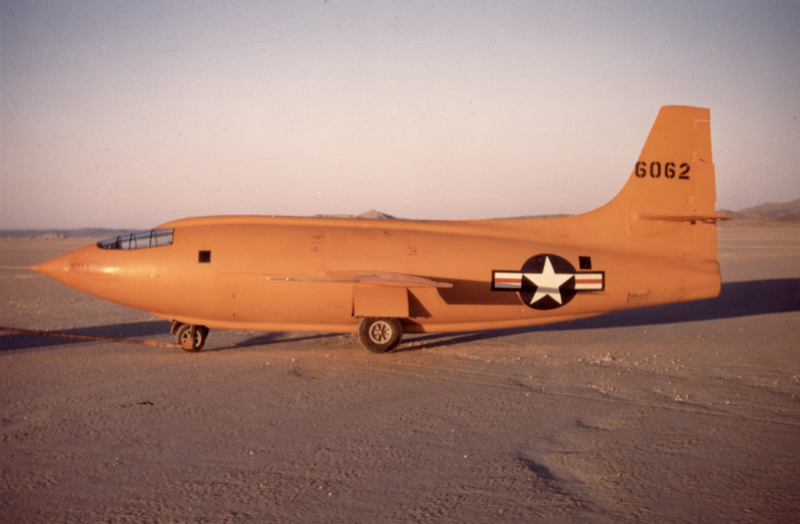 The X-1 airplane had been previously flown by company test pilots Jack Woolams and Chalmers Goodlin. 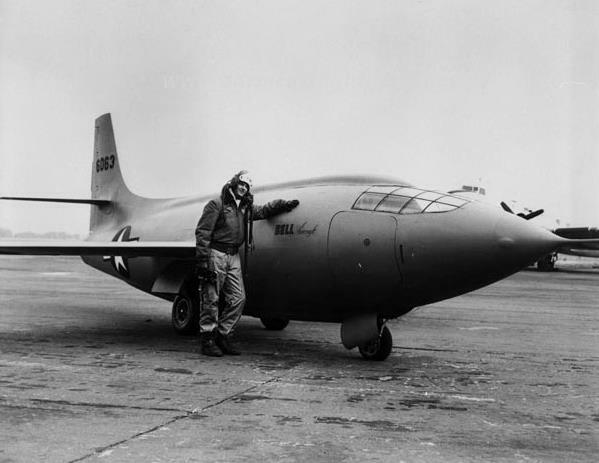 Two more X-1 aircraft were built by Bell, and the second, 46-063, had already begun its flight testing. 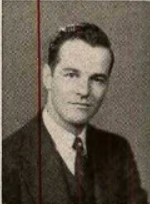 Captain Yeager had made three glide flights and this was to be his ninth powered flight. 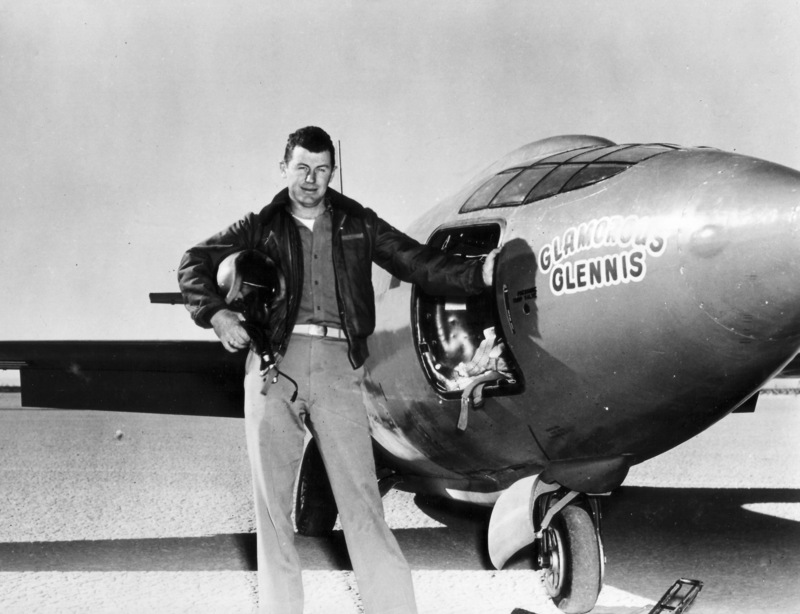 Like his P-51 Mustang fighters, he had named this airplane after his wife, Glamorous Glennis. “One minute to drop. [Jack] Ridley flashed the word from the copilot’s seat in the mother ship. . . Major Cardenas, the driver, starts counting backwards from ten. C-r-r-ack. The bomb shackle release jolts you up from your seat, and as you sail out of the dark bomb bay the sun explodes in brightness. You’re looking at the sky. Wrong! You should have dropped level. The dive speed was too slow, and they dropped you in a nose-up stall. . .
“I fought it with the control wheel for about five hundred feet, and finally got her nose down. The moment we picked up speed I fired all four rocket chambers in rapid sequence. We climbed at .88 Mach. . . I turned off two rocket chambers. At 40,000 feet, we were still climbing at .92 Mach. Leveling off at 42,000 feet, I had thirty percent of my fuel, so I turned on rocket chamber three and immediately reached .96 Mach. . . the faster I got, the smoother the ride. —Brigadier General Charles E. Yeager, U.S. Air Force (Retired), Yeager, An Autobiography, by Chuck Yeager and Leo Janos, Bantam Books, New York, 1985, Pages 120, 129–130. 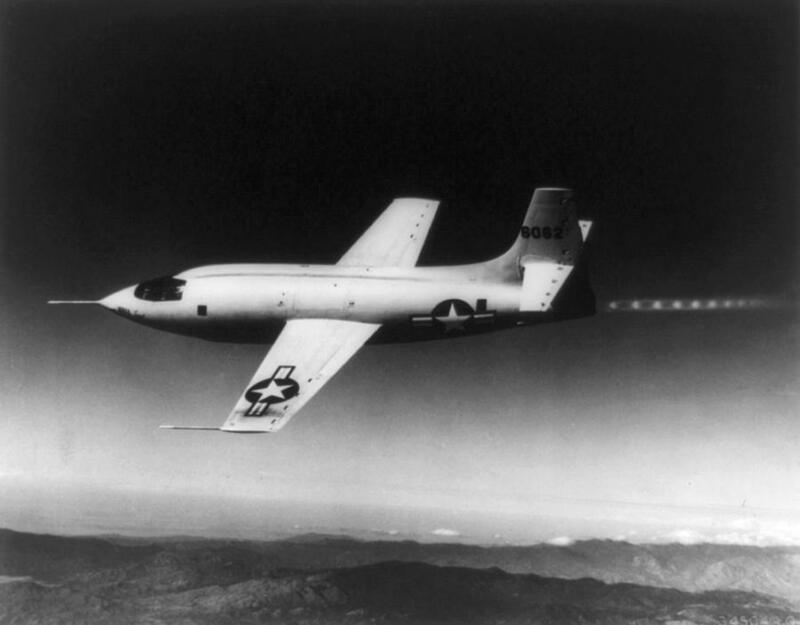 Chuck Yeager and flown the XS-1 through “the sound barrier,” something many experts had believed might not be possible. 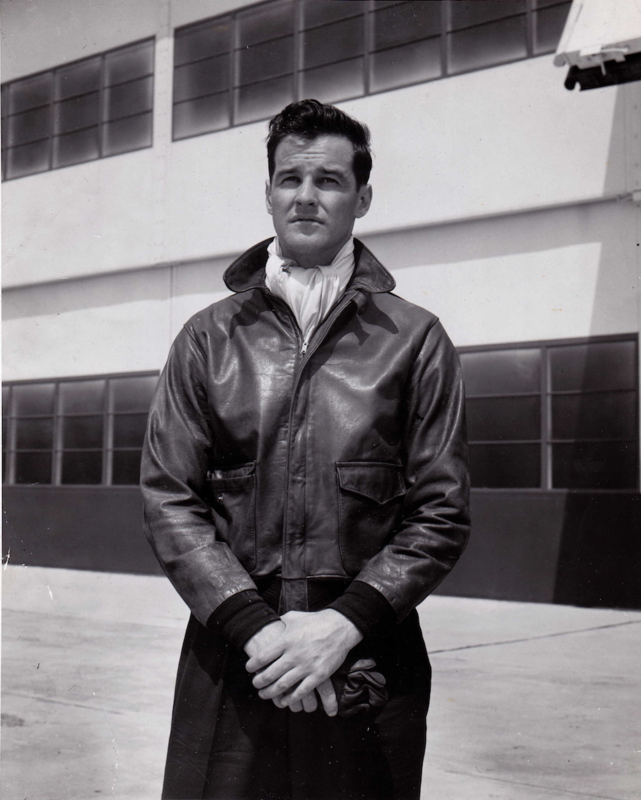 His maximum speed during this flight was Mach 1.06 (699.4 miles per hour/1,125.7 kilometers per hour). 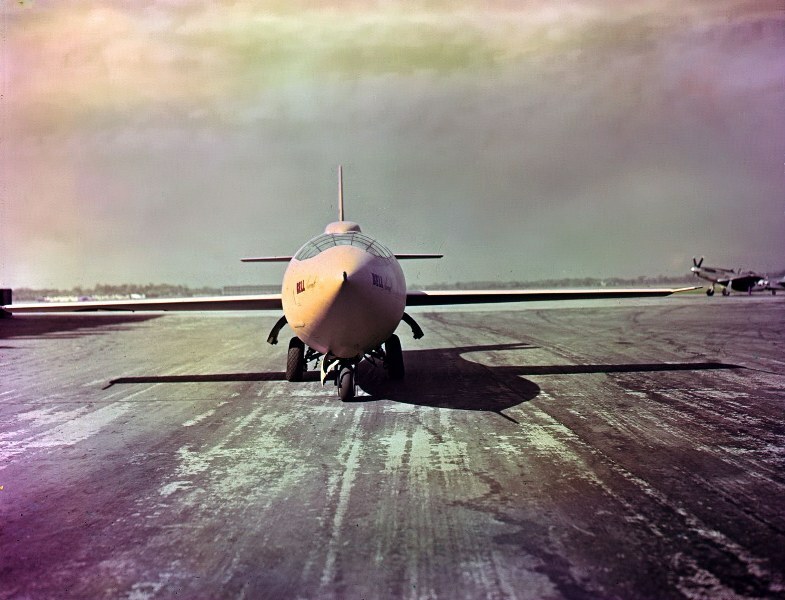 The Bell XS-1, later re-designated X-1, was the first of a series of rocket powered research airplanes which included the Douglas D-558-II Skyrocket, the Bell X-2, and the North American Aviation X-15, which were flown by the U.S. Air Force, U.S. Navy, NACA and its successor, NASA, at Edwards Air Force Base to explore supersonic and hypersonic flight and at altitudes to and beyond the limits of Earth’s atmosphere. 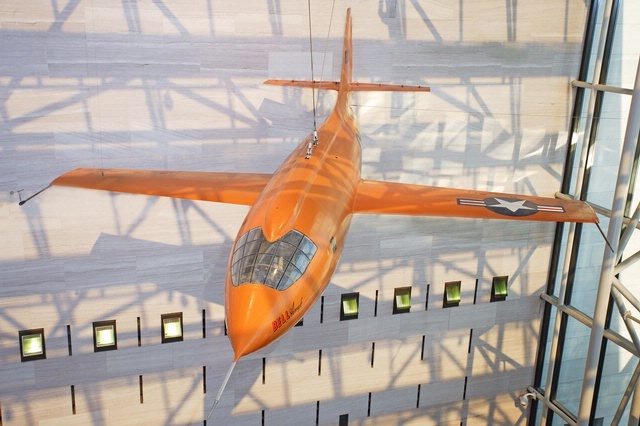 The X-1 is shaped like a bullet and has straight wings and tail surfaces. It is 30 feet, 10.98 inches (9.423 meters) long with a wing span of 28.00 feet (8.534 meters) and overall height of 10 feet, 10.20 inches (3.307 meters). Total wing area is 102.5 square feet ( 9.5 square meters). 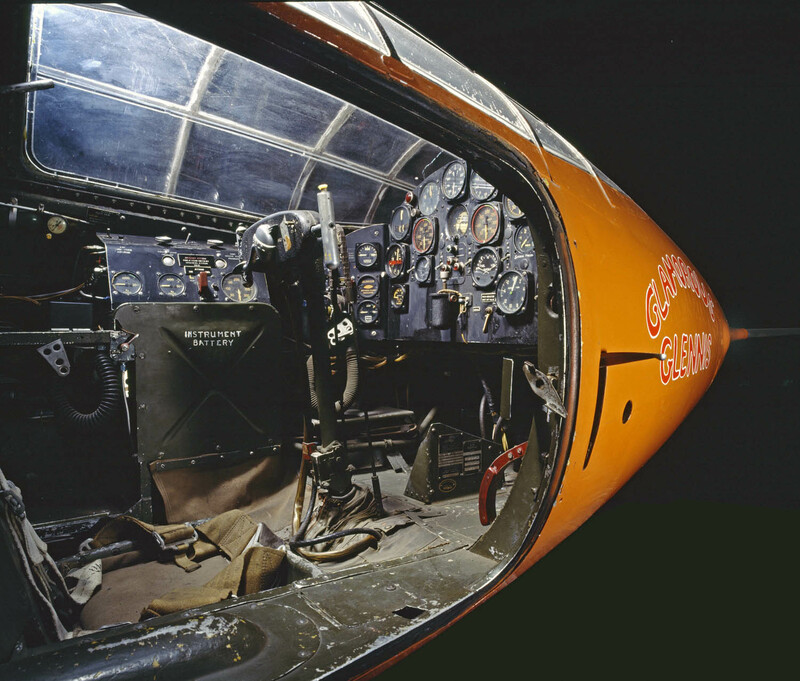 At its widest point, the diameter of the X-1 fuselage is 4 feet, 7 inches (1.397 meters). The empty weight is 6,784.9 pounds (3,077.6 kilograms), but loaded with propellant, oxidizer and its pilot with his equipment, the weight increased to 13,034 pounds (5,912 kilograms). 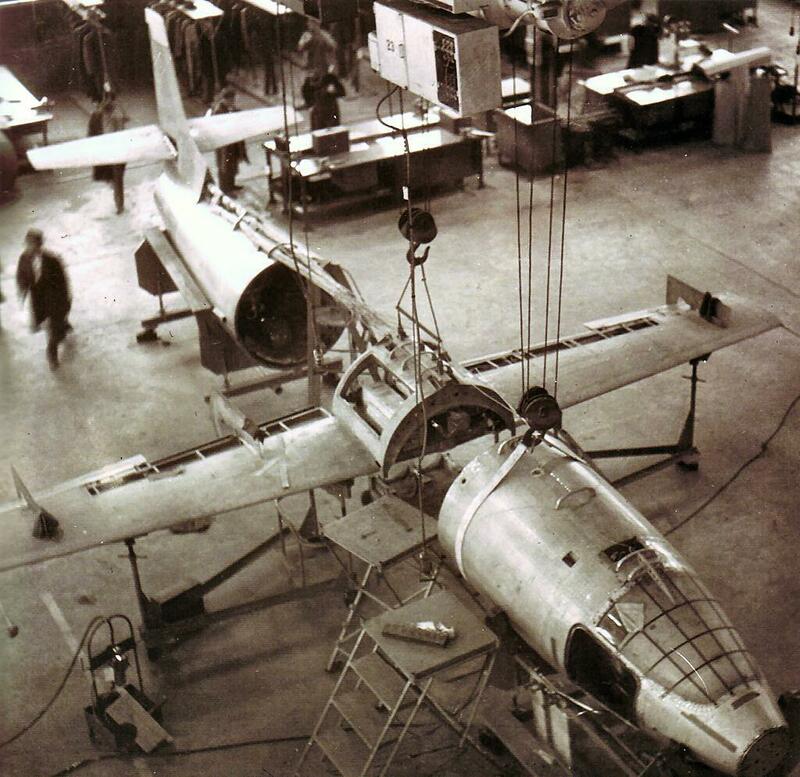 The X-1 was designed to withstand an ultimate structural load of 18g. The X-1 is powered by a four-chamber Reaction Motors, Inc., XLR11-RM-3 rocket engine which produced 6,000 pounds of thrust (26,689 Newtons). This engine burns a mixture of ethyl alcohol and water with liquid oxygen. Fuel capacity is 293 gallons (1,109 liters) of water/alcohol and 311 gallons (1,177 liters) of liquid oxygen. The fuel system is pressurized by nitrogen at 1,500 pounds per square inch (10,342 kilopascals). 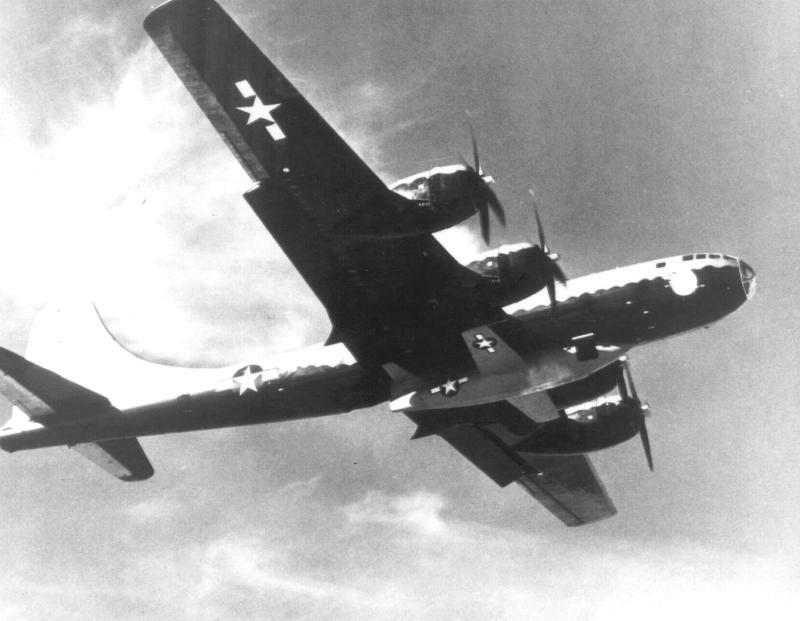 The X-1 was usually dropped from a B-29 flying at 30,000 feet (9,144 meters) and 345 miles per hour (555 kilometers per hour). It fell as much as 1,000 feet (305 meters) before beginning to climb under its own power. 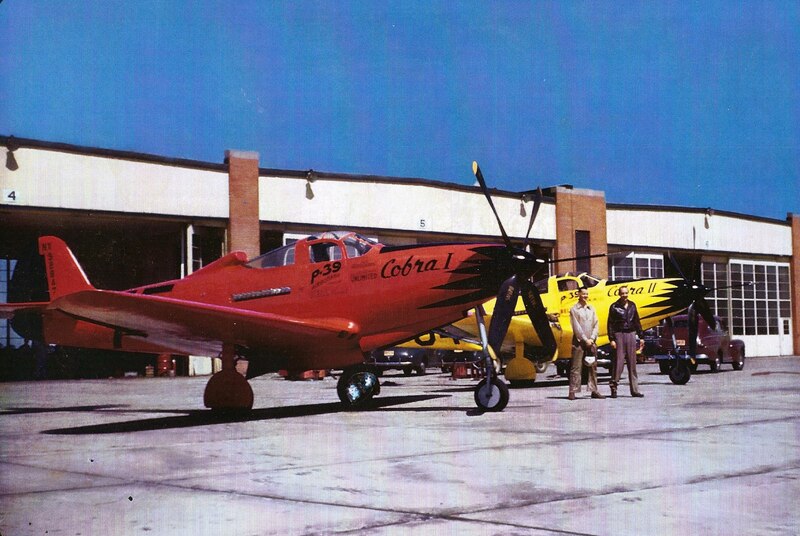 The three X-1 rocketplanes made a total of 157 flights with the three X-1. 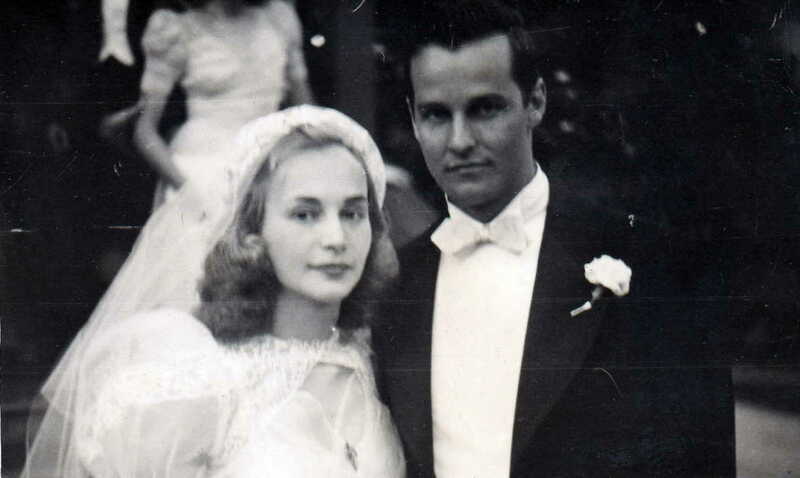 The number one ship, Glamorous Glennis, made 78 flights. 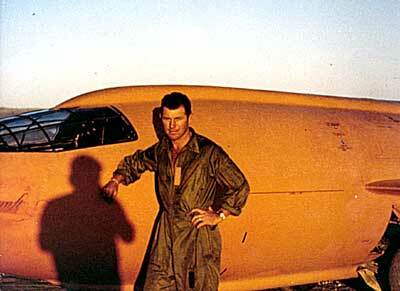 On 26 March 1948, with Chuck Yeager again in the cockpit, it reached reached Mach 1.45 (957 miles per hour/1,540 kilometers per hour) at 71,900 feet (21,915 meters). The second X-1, 46-063, was later modified to the X-1E. It is on display at the NASA Dryden Research Center at Edwards Air Force Base. Glamorous Glennis is on display at the Smithsonian Institution National Air and Space Museum, next to Charles A. Lindbergh’s Spirit of St. Louis.